There has been a lot os publicity about the plight of low-income families with babies and the need for diapers. There was an article in the Naples Daily News recently. 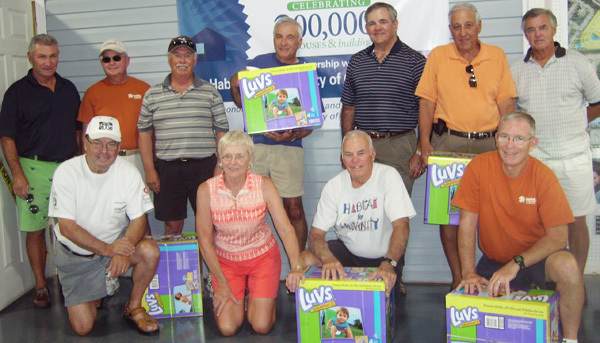 It was a story from St Louis Diaper Bank about the great need for diapers. It is a story we at Baby Basics have been telling for 22 years. I founded the first Baby Basics 22 years ago and 10 years ago in Naples. The story is the same the only difference is the number of low-income working needing help. Recently a Mom told me that before Baby Basics she would go into a panic the end of the month when money was low and so were the number of diapers . She many times had to keep her baby in a soiled diaper overnight so she had diapers that were required by the day care. An employee at a big box store told me she gave up food for herself in order to buy diapers. BB is much more than diapers however, our mission statement says we are diapers and kindness. Kindness comes in a smile. A hug a comment about the growth spirt of the baby. A volunteer told me a story about a Mom who share her story. She is a single Mom and her husband works out of the area. When Martin was born, he spent his first few weeks in a Miami hospital. This Mom shared that she was lonely and it was wonderful to come to Baby which feels like coming home.with that the volunteer gave her a hug and a few tears was shed.